This exhibition is an annual invitational exhibition that focuses on the production of contemporary art in the State. Each year the Museum invites a select group of outstanding artists for the exhibition, with one to receive the Florida Prize monetary award. 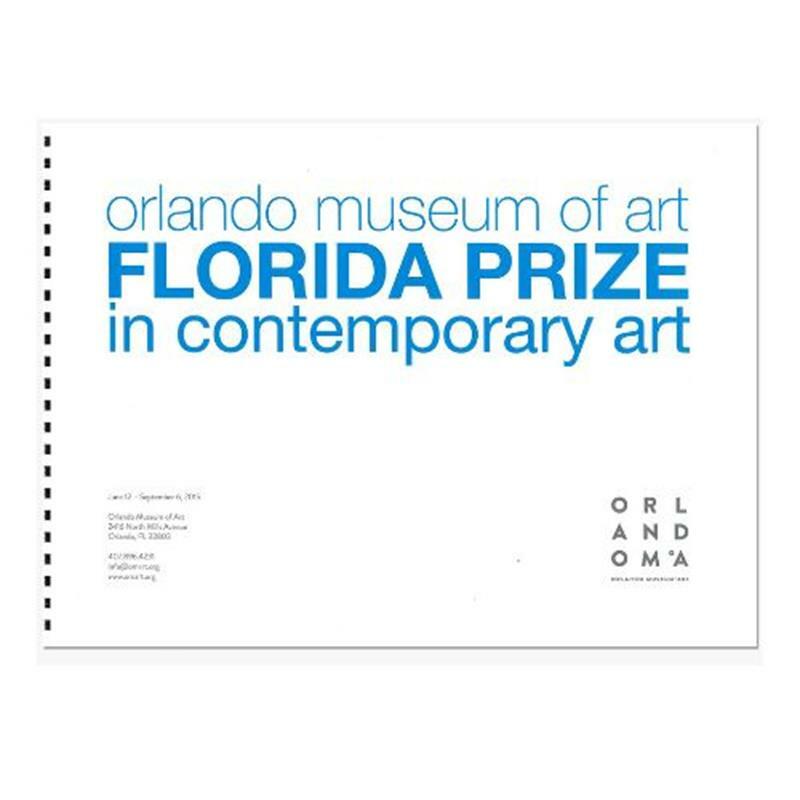 The purpose of the Florida Prize in Contemporary Art is to bring a new level of support to the State’s most progressive artists by recognizing their contributions to the field and their impact on the cultural vitality of Florida. The exhibition included artists whose studio practices cross all platforms including film, video, painting, sculpture, mixed-media, multi-media and large scale installations created specifically for the exhibition. Artists selected for this year were Farley Aguilar, Bhakti Baxter, Cesar Cornejo, Michael Covello, Rob Duarte, Jennifer Kaczmarek, Nicolas Lobo, Wanda Raimundi-Ortiz, Alex Trimino and Antonia Wright. These artists were selected by the Orlando Museum of Art’s curatorial team after a review of hundreds of artists from around the State. Criteria for their selection included artistic excellence, innovative practices, engagement with significant issues and achievement as demonstrated by a history of exhibitions and awards. Beyond these general criteria, the artists are chosen to reflect the diversity of ideas and means of expression that make art today relevant and exciting. Exhibited at the OMA, June 12, 2015 - September 6, 2015. Foreword by Glen Gentele, Director and CEO, OMA. Introduction by Hansen Mulford, Curator, OMA. Full color. 54 pages. ISBN: 1-880699-11-7.